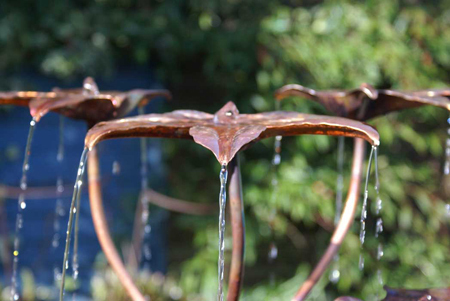 The Castor Oil Tree copper fountain was designed around the Fatsia japonica plant (False Castor Oil). It has a total of 6 leaves and they each cleverly channel water from the centre, to the the tips of the leaf. A busy fountain with lots of gentle noise from the many small streams. 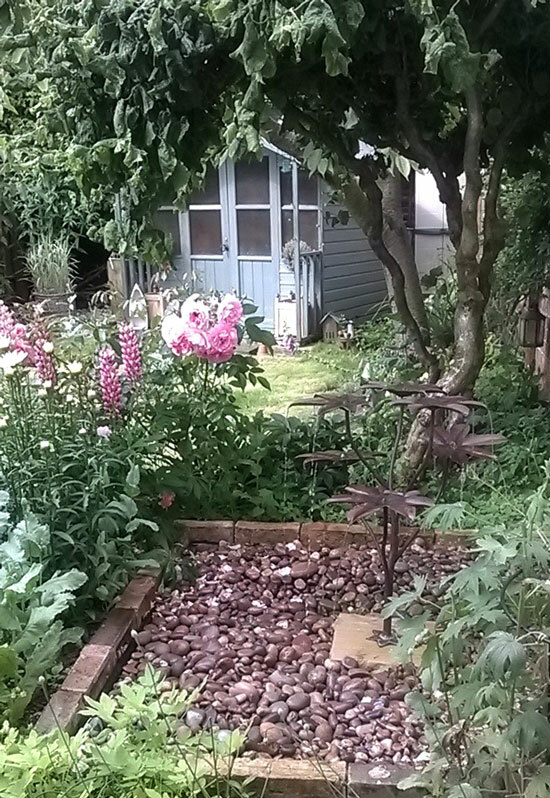 As with all of our copper fountains, the Castor Oil Tree comes complete with a stone base. This allows it to sit securely in a pond, or pebble pool. Connection of the pump is from below the base, so all pipes and fittings can be discreetly concealed.